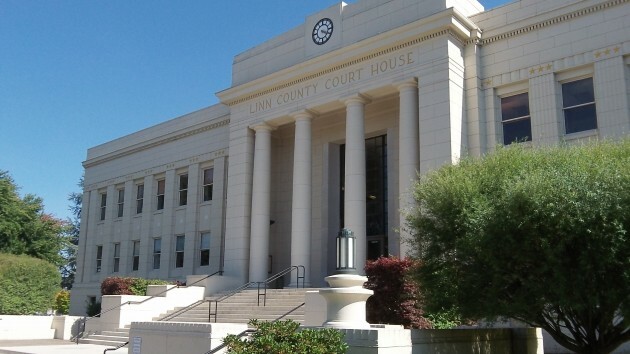 Once again we see the contrast between Linn and Benton counties, this time in the official attitude toward marijuana regulation. Linn County is about to make use of the option it has under state law to ban commerce in weed. Benton County is doing the opposite, preparing to amend its land use code to make sure people can grow the stuff on land zoned for farming once the state licenses them to do so. In Albany, by contrast, the Linn commissioners have a hearing Monday morning (10 o’clock at the courthouse) on an ordinance to ban any licensed growing, processing, wholesaling or retailing of recreational marijuana anywhere in the unincorporated areas of the county. As required by law. that ban, once adopted, must be submitted to the voters in the 2016 general election. The Linn board plans to act on the ban Tuesday. There are many unintended consequences with this law. I think it prudent and wise to learn from the states of WA and CO before jumping into anything. Let us learn the pitfalls and repercussions first, then inform the voters and see if the pros outnumber the cons. Reefer madness continues almost unabated in much of Oregon despite, or because of the wording of Measure 91. It makes no sense to make a substance legal, yet restrict its sale and production according to local whims and politics. It will be legal to possess weed statewide while its commercial production and retailing will look like a patchwork quilt as counties and municipalities establish individual regulations. I should think government bodies that prohibit sales/production will not benefit from tax revenues generated in other jurisdictions. Will that be the case? And how will anyone be able to distinguish “legally purchased and taxed” weed from it’s counterpart on the black market? What a mess. The OLCC should have been charged with the sale of pot statewide, just as in the sale of (far more damaging) alcohol at their outlets, with tax revenues distributed according to regional sales. A simple, regulated sale of a taxed, legal substance. Instead, the net result will be that the black market will continue to thrive, just as it has for so many years. Leave it to government to screw things up yet again. It’s the one thing government is consistently good at….screwing things up. This should have been easy. Would a visitor from Mars be dumbstruck upon learning that the dominant political party and attitude in Linn County is one which favors “free enterprise” and “less government intervention” with much the opposite for Benton County? Perhaps the proper conclusion is that principles mean little, and that prejudices and kinship mean much more. Both sides, everywhere, every issue.